This text reviews the postoperative management of patients who have undergone cardiac surgical procedures, some of the most common and most complicated forms of surgery. These patients and their management are characterized by complex challenges, while among the factors determining ultimate clinical outcome, postoperative critical care is of major importance. 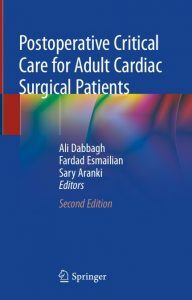 This new and extensively updated edition of Postoperative Critical Care for Cardiac Surgical Patients maintains the general clinical approach in explaining and analyzing the course of clinical care in patients undergoing cardiac surgery, providing the reader with a practical “cookbook” of postoperative intensive care in adult cardiac patients. It has been extensively updated to include the developments in this field during the last few years, from new chapters on postoperative management of renal, gastrointestinal and respiratory systems, postoperative management of infectious and inflammatory complications, and postoperative care of transplant patients and postoperative safety. 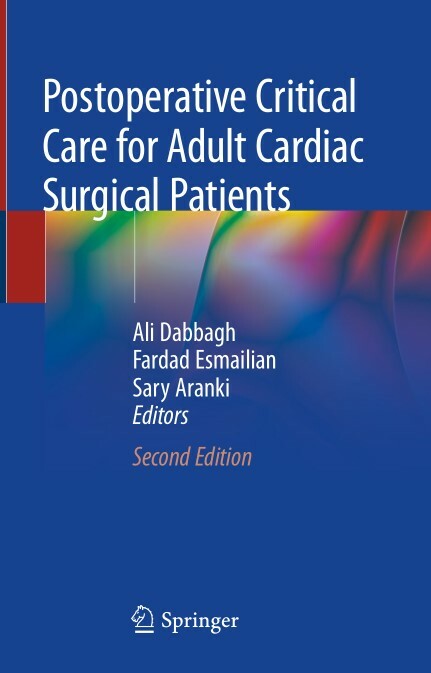 This book is of critical importance for cardiac surgeons, cardiac anesthesiologists and intensivists, and defines optimal daily practice for adult patients undergoing cardiac surgical procedures. Critical Care Medicine at a Glance is an accessible introduction and revision text for junior clinicians. Fully revised and updated to reflect changes to the content and assessment methods used by medical schools and postgraduate training programmes, this at a Glance provides a user-friendly overview of critical care medicine to encapsulate all that the student needs to know. Critical Care Medicine at a Glance is ideal for medical students, junior doctors, nurses, and other healthcare professionals expected to acquire the skills and knowledge needed to care for acutely ill patients. This title is appropriate for all associate and baccalaureate-level courses in critical care and advanced adult or medical surgical nursing, as well as for hospital orientation programs for beginning critical care nurses. 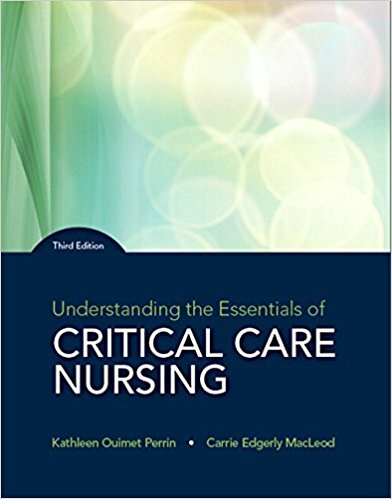 Understanding the Essentials of Critical Care Nursing provides novice critical care nurses with a firm foundation so that they are able to understand the complexities of care; deliver safe, effective care; and begin their transition to expert nurses. 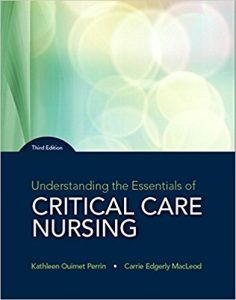 It identifies concepts and techniques that are unique to critical care nursing and focuses on the essentials of providing care to patients with disorders that are commonly seen in critical care settings. Evidence-based practices, safety initiatives, commonly used medications, and leading technologies for providing better care are highlighted throughout the book. The 3rd edition includes current recommendations for practice as well as new NCLEX®-style questions and analytical Why/Why Not features that spark critical thinking and test readers’ understanding. By concentrating on the problems that the new critical care nurse is most likely to encounter, the text establishes the groundwork students need to become increasingly effective nurses capable of offering advanced care. Also available packaged with MyLab™ Nursing or via Pearson eText. MyLab is the teaching and learning platform that empowers you to reach every student. By combining trusted author content with digital tools and a flexible platform, MyLab personalizes the learning experience and improves results for each student. MyLab Nursing helps students master key concepts, prepare for success on the NCLEX-RN® exam, and develop clinical reasoning skills. Pearson eText offers a simple-to-use, mobile, personalized reading experience that lets instructors connect with and motivate students — right in their eTextbook. 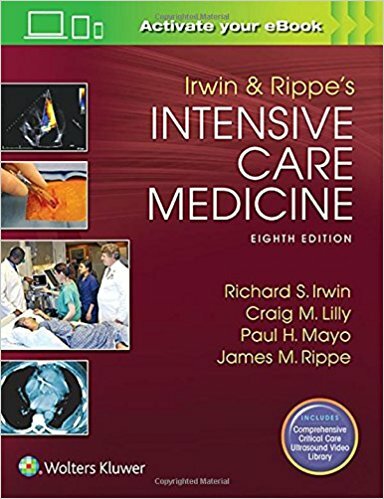 With a focus on evidence-based, state-of-the-art information throughout, the eighth edition of Irwin and Rippe’s Intensive Care Medicine offers authoritative guidance to the wide variety of specialty physicians and non-physicians practicing in the adult intensive care environment. This comprehensive textbook covers both the theoretical and practical aspects of the field, and has been completely updated to provide encyclopedic, interprofessional coverage to support practitioners in every area of this complex field. Approaches intensive care from an interprofessional, collaborative perspective, encompassing anesthesia, surgery, trauma, and neurology, as well as cardiovascular and medical intensive care. 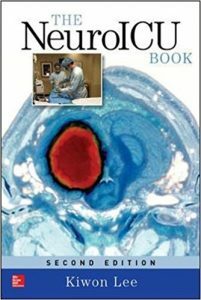 Maintains a practical, clinically-oriented approach, with comprehensive sections on procedures, techniques, and ultrasound; minimally invasive monitoring; pharmacology, overdoses, and poisoning; infectious disease; transplantation; critical care consequences of agents of mass destruction; and many more. Features many new chapters, and an entirely new section on Palliative Care and Ethical Issues in the Critical Care Unit. 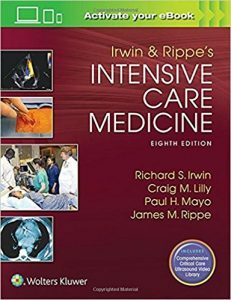 Reflects the rising importance of point-of-care ultrasonography with five hours of expertly narrated video embedded into 23 relevant chapters, clearly depicting the ideal use of this tool for intensivists. Includes a section on ICU Design, Organization, Operation, and Outcome Measures that addresses important changes and advances regarding safety, clinical practice guidelines, decreasing the cost of care, tele-ICU, and more. Provides extensive updates reflecting advances in cardiovascular intensive care, surgical critical care, shock and trauma, and sepsis management. Includes recommendations reflecting randomized controlled clinical trials, summarized, when possible, in quick-reference tables throughout. 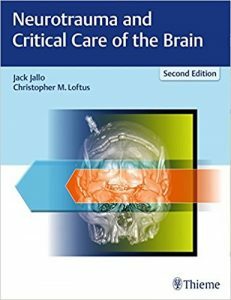 Neurotrauma and Critical Care of the Brain, 2nd edition by renowned neurosurgeons Jack Jallo and Christopher Loftus incorporates salient components of the highly praised first edition. The updated text reflects cutting-edge discussion on traumatic brain injury management in a neurocritical care setting. Contributions from top experts in neurosurgery, neurology, critical care, cardiac and pulmonary care, and trauma surgery provide a concise review of a complex and evolving field. The book lays a solid foundation with discussion of TBI classification, pathophysiology, key blood biomarkers, noninvasive neuromonitoring in severe TBI patients, multimodality monitoring in neurocritical care, and brain imaging modalities. From the prehospital setting to intensive care, top experts share clinical pearls and core guidelines on the management of mild, moderate, and severe TBI and complications. Chapters new to this edition include concomitant injuries, orbital/facial fractures, vascular injuries, spine fractures, autonomic dysfunction, and temperature management. This remarkable resource is essential reading for neurosurgeons, neurologists, trauma physicians, critical care and rehabilitation medicine specialists, and residents in these specialties. Paired with Neurotrauma and Critical Care of the Spine, 2nd edition, this dynamic duo is the most up-to-date neurocritical care reference available today. 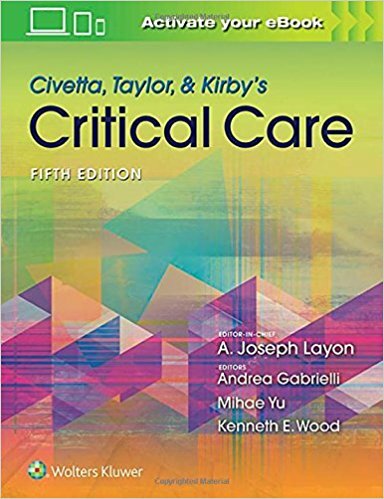 Covering every problem encountered in today’s intensive care unit, this leading critical care textbook presents the knowledge and expertise of more than 350 global experts in this fast-changing field. Beginning with the social aspects of medicine, it then discusses monitoring and organ system pathobiology followed by specific diseases states/syndromes. Each chapter begins with immediate concerns and proceeds to broader-based discussions of relevant pathophysiologic and clinical issues. Features new chapters on Critical Care Implications in Acute Care Surgery, The Obstetric Patient, and Brain Death and Management of the Potential Organ Donor; all chapters thoroughly revised including up-to-date discussions of what happens after the patient leaves the ICU. 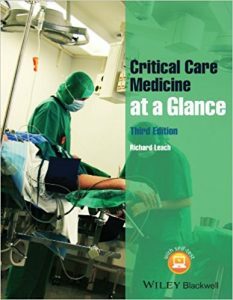 Covers surgical critical care more thoroughly than any other text. Includes expert coverage of pharmacology, nutrition, toxicology and the environment, disaster management, point-of-care testing, bedside ultrasound, surgical infections, and much more. Presents information in a reader-friendly manner, streamlining the print text to focus on the material most important for bedside care in the ICU. 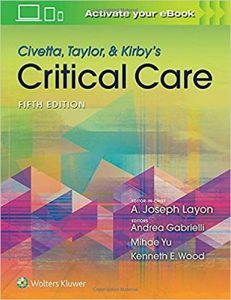 Expertly edited by leaders in every area of critical care: Dr. Mihae Yu (surgery), Dr. A. Joseph Layon (internal medicine), and Drs. Layon and Andrea Gabrielli (anesthesiology), who are joined in this edition by Dr. Kenneth Wood (internal medicine). Quick lookup for the most essential info in critical care! Ideal for quick reference at the bedside, The Little ICU Book is a condensed, compact version of The ICU Book, Dr. Marino’s best-selling comprehensive intensive care reference.The Little ICU Book zeroes in on only the essentials for the hands-on care of critically ill adult patients. Its fast-access format makes it an indispensible resource for residents as well as busy critical care physicians. Apply the latest know-how with comprehensive updates throughout the book. Find the answers you need quickly with a concise outline format and Dr. Marino’s accessible, reader-friendly writing style. Grasp visual concepts at a glance through abundant clear, colorful illustrations and tables. Carry it with you everywhere thanks to its portable size. An immediate classic, this groundbreaking text is based on the premise that neurointensivists must be trained to handle not only the brain, but the entire body. The NeuroICU Book, Second Edition does not limit coverage to the brain and spine – it spans all organ insufficiencies and failures – along with neurologic illnesses. Thoroughly updated to keep pace with all the advances in this emerging field, the Second Edition of The NeuroICU Book combines the latest clinical perspectives in critical care medicine, neurology, and neurosurgery. This practical, evidence-based text standardizes neurocritical care and takes you through the rationale for those standards. 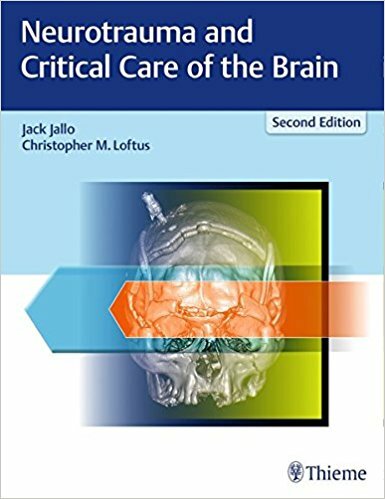 Filled with detailed case studies and enhanced by a question-and-answer format, the book not only builds competency in recognizing acute changes in neurological function, but also addresses all organ insufficiencies and failures, reflecting the real-life challenges in the modern neuro-ICU. This book describes various aspects of the basic physiological processes critical to tissue perfusion and cellular oxygenation, including the roles of the circulatory system, respiratory system, blood flow distribution and microcirculation. 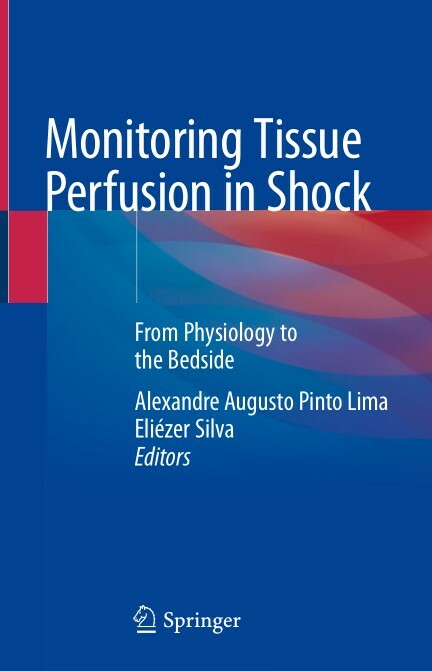 In the context of monitoring critically ill patients in the early hours of circulatory shock, it is essential to recognize changes in traditional parameters such as mean arterial pressure and cardiac output, and to assess the need for active intervention. However, even if global macrocirculatory variables are restored, abnormalities in tissue oxygenation may persist. Tissue hypoperfusion is connected to the development of organ failure and, if it goes unrecognized, may worsen the prognosis. As a result, there is a growing interest in methods for monitoring regional perfusion in peripheral tissues to predict or diagnose ongoing hypoperfusion. 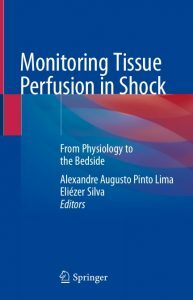 In this work, eminent experts from a range of disciplines convey a working knowledge of how regional monitoring in shock can complement the conventional global parameters of oxygen transport, and demonstrate that real-time bedside assessment of tissue oxygenation is readily achievable using noninvasive monitoring techniques. 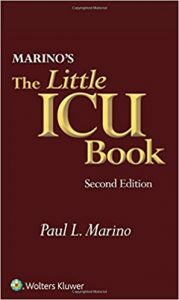 Accordingly, the book offers a valuable, easy-to-use guide for the entire ICU team and other clinicians. 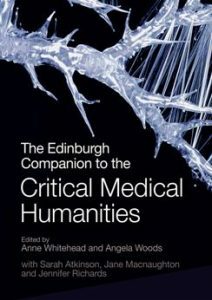 In this landmark Companion, expert contributors from around the world map out the field of the critical medical humanities. This is the first volume to introduce comprehensively the ways in which interdisciplinary thinking across the humanities and social sciences might contribute to, critique and develop medical understanding of the human individually and collectively. The thirty-six newly commissioned chapters range widely within and across disciplinary fields, always alert to the intersections between medicine, as broadly defined, and critical thinking. Each chapter offers suggestions for further reading on the issues raised, and each section concludes with an Afterword, written by a leading critic, outlining future possibilities for cutting-edge work in this area. Topics covered in this volume include: the affective body, biomedicine, blindness, breath, disability, early modern medical practice, fatness, the genome, language, madness, narrative, race, systems biology, performance, the postcolonial, public health, touch, twins, voice and wonder. Together the chapters generate a body of new knowledge and make a decisive intervention into how health, medicine and clinical care might address questions of individual, subjective and embodied experience.